What a beautiful venue! This is the wonderful Paschoe house, a stunning venue for an outdoor wedding. Paschoe house is a luxury family run country house hotel, restaurant and events venue in the heart of Devon. From the moment you arrive, you realise what a grand venue it is. We arrived in the morning to photograph Portia and Nicks’ big day. Preparations were underway at the house so we started by photographing the details of the day. There was such a wonderful attention to detail with every little touch, it was hard to know where to start! From hats and shoes, to dresses, jewellery, readings, drinks and nibbles, there was plenty to capture. The bride, her mum and the bridesmaids were getting ready with the help of Kimberley Dewar, a freelance celebrity make-up artist. Once the hair and make-up was finished and a few glasses of bubbly had been drunk, it was time to get dressed. Mum helped the bride with her stunning hand made and family heirloom jewellery for the finishing touch. Now it was time for the dresses. The bridesmaids, Myki and Becky, put theirs on while Portia was relaxing. Then it was all hands on deck to help the bride into her wonderful dress. The buttons were done up, the veil was added and the dress was spread out so everyone could enjoy the first moments of seeing the bride ready for her big day. The sun was shining and there was a beautiful view across the countryside and out onto the rolling hills. The staff at Paschoe house had laid out the chairs for the ceremony and planted fresh flowers around the gazebo. Guests were arriving and mingling on the back porch enjoying the sun and the view. When the time was near, the guests made their way down the hill, past the blooming flowers and to their seats. Everyone had time to chat and catch up, as the excitement built. By this point, Nick and his best man were starting to feel a little nervous. They checked the rings and readings were there, greeted the guests and waited with excitement for the arrival of the bride. Because of the layout of the outside space, Portia had a wonderful walk down the hill towards the ceremony. There was plenty of time for everyone to take in her stunning dress and enjoy her entrance. Nick smiled and any anxiety must have evaporated as he saw his beautiful bride to be. The ceremony started and the sun shone down on everyone. There were tears and laughter, vows and promises, and rings to join Portia and Nick together. Their vows were personal and showed how much love there was between them both. Good friends shared readings with the couple and their guests. Finally, Portia and Nick became husband and wife. There were more tears and plenty of smiles as they were bound in marriage. Cheers and claps accompanied the newly weds as they made their way across the lawn and back up to Paschoe house. Their guests sat on the back porch and enjoyed drinks in the sun. The happy couple enjoyed some time alone, away from all the excitement. The reception was to be held where Portia once lived. 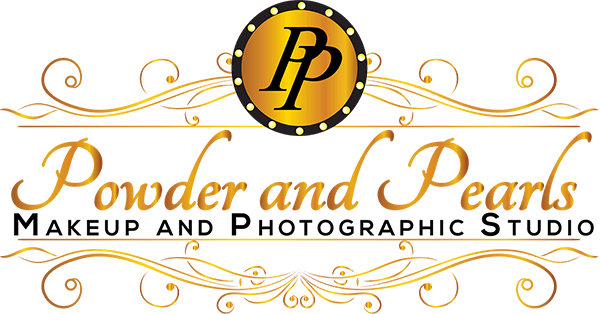 So whilst the guests made their way onto the next venue, the bridal and grooms party remained behind to have some more photos outside the venue. Because Paschoe house is located in the Devonshire countryside, there are wonderful views everywhere you look. Portia and Nick had decided to stop on the way to the reception to have their couples photos looking over the countryside. As photographers, we always enjoy stopping on the way to a venue to take advantage of the views and this was no exception. The backdrop was stunning and no-one can deny what a picturesque county Devon truly is. It was a delightful day of sun, countryside, love, fun and family and we wish Portia and Nick many years of health and happiness together.